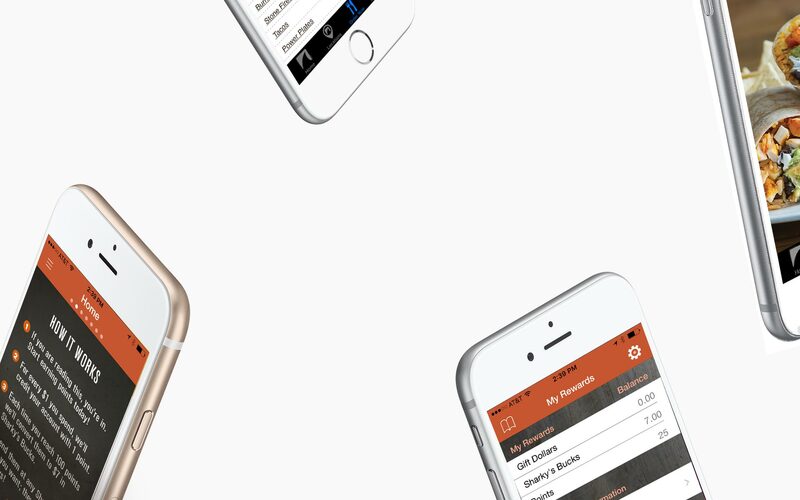 Download the app for exclusive offers, rewards, and easy online ordering - all in one place. 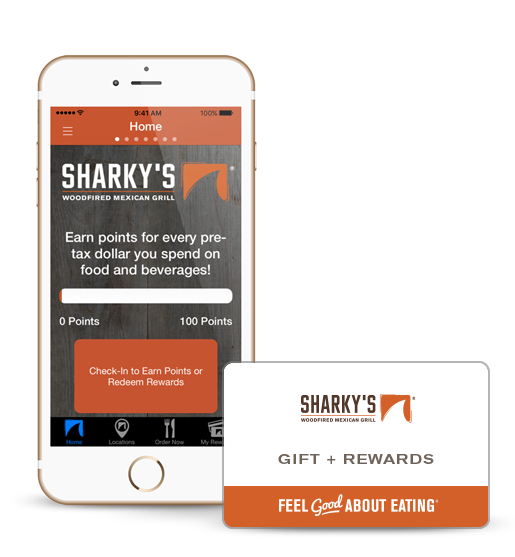 Each time you reach 100 points we’ll convert them to $7 in Sharky’s Bucks. Spend them at any Sharky’s, any way you want; they’re good for 90 days! Earn Rewards. Order Ahead. Find Locations. Get Exclusive Offers. Forgot to check-in? Missed your points?